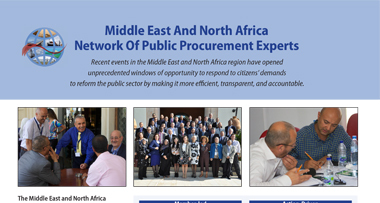 The Middle East and North Africa Network of Public Procurement Experts was formed, with World Bank assistance, to address the key challenges facing public procurement in the region. This community of practice is led by its members who collectively work to address the actions they have identified. 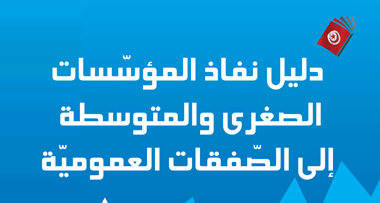 The Network and its agenda are both owned and executed by its members—high-level public officials responsible for public procurement and its reform in MENA countries. Network members selected their top three priorities and are working together to bring them to the forefront of regional attention. Small working groups are led by and comprised of national officials from the Network who have expertise or interest in these areas.